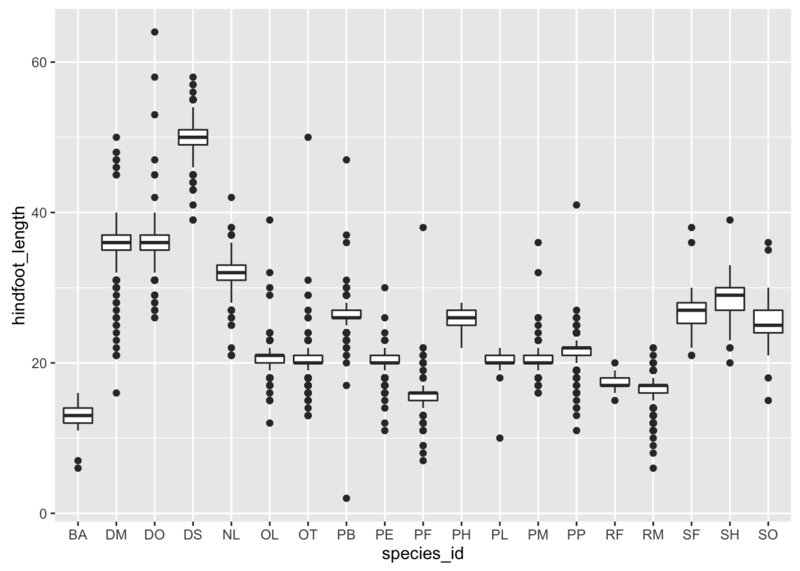 I’ll assume the data are available, and we’ll focus on the “cleaned” version, surveys_complete. 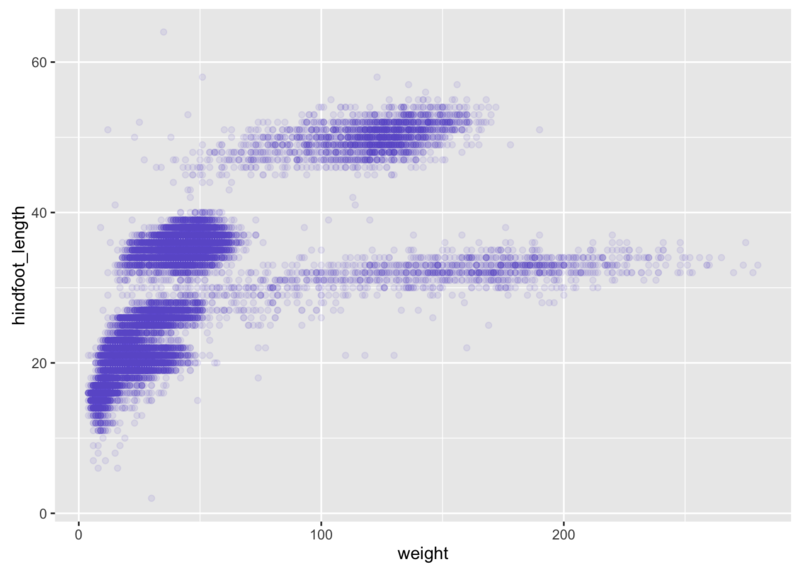 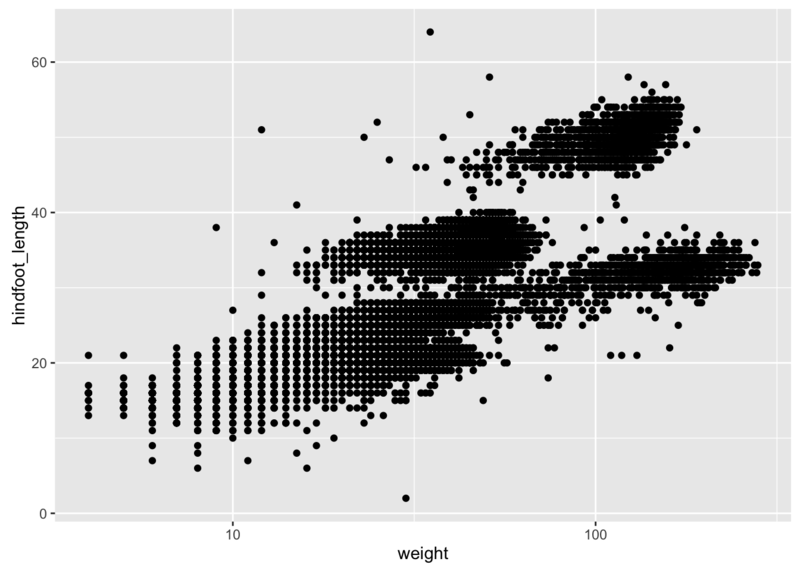 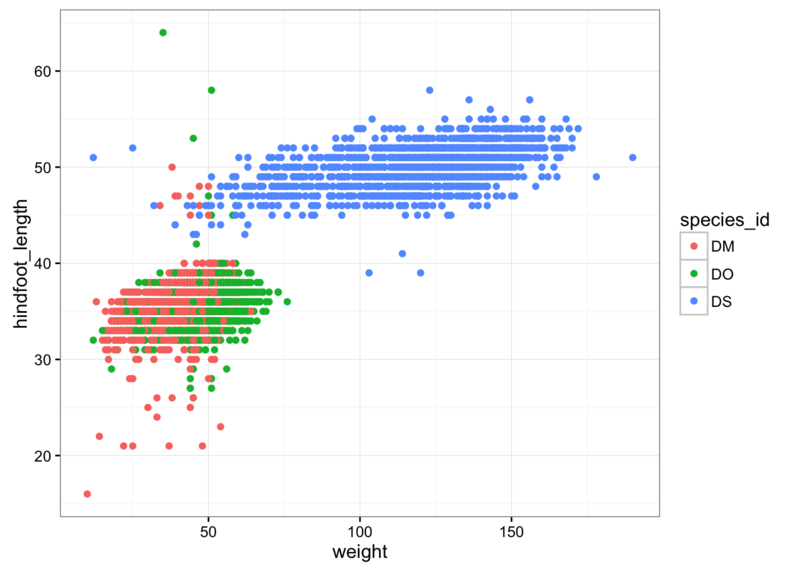 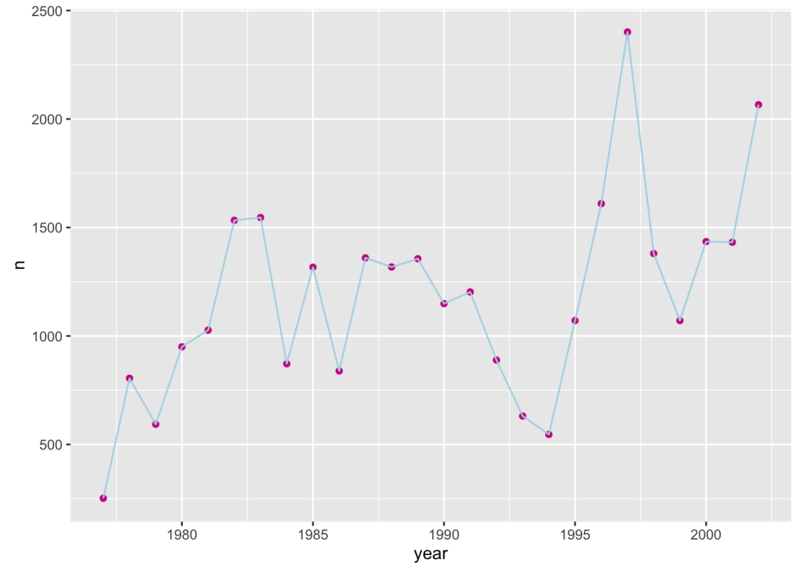 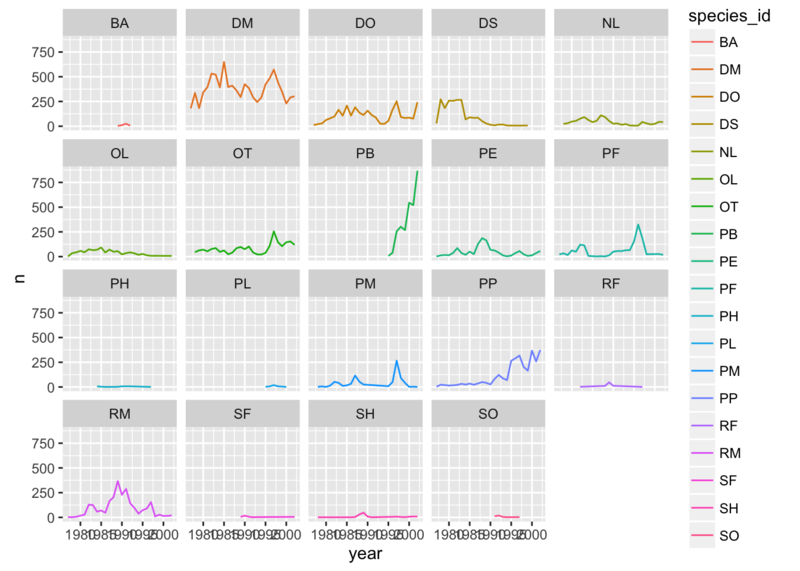 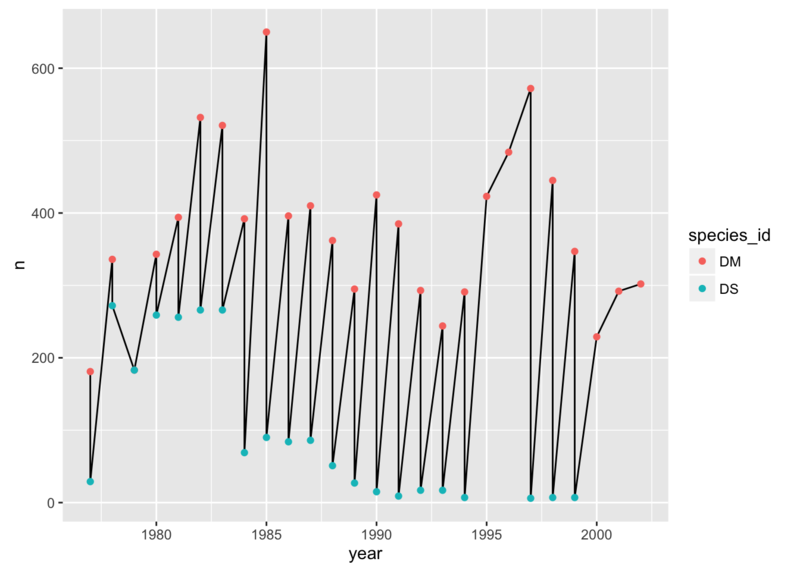 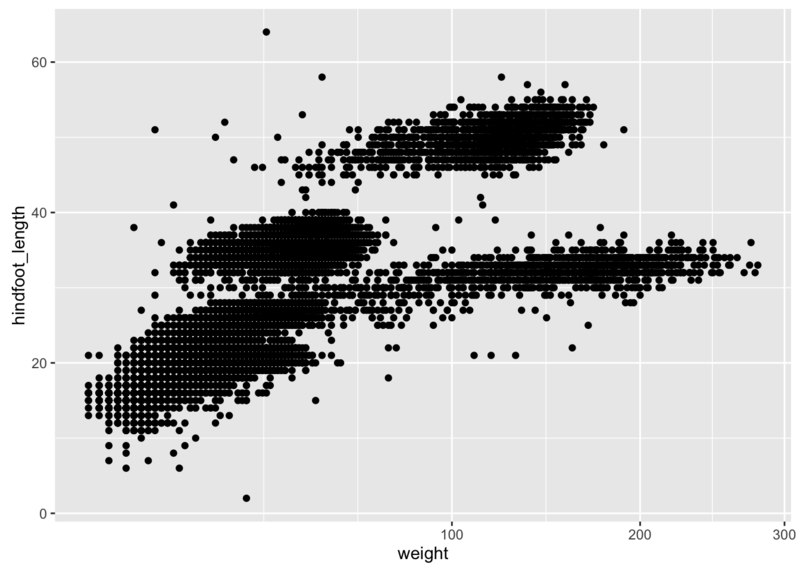 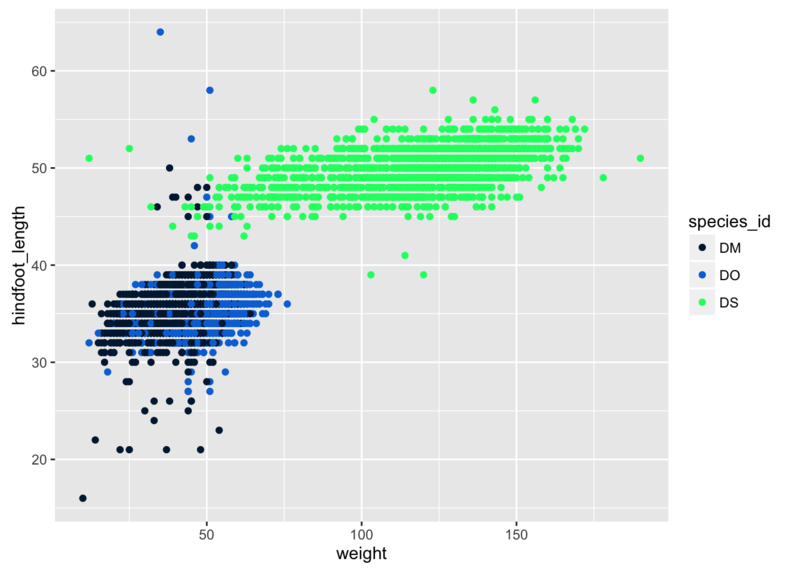 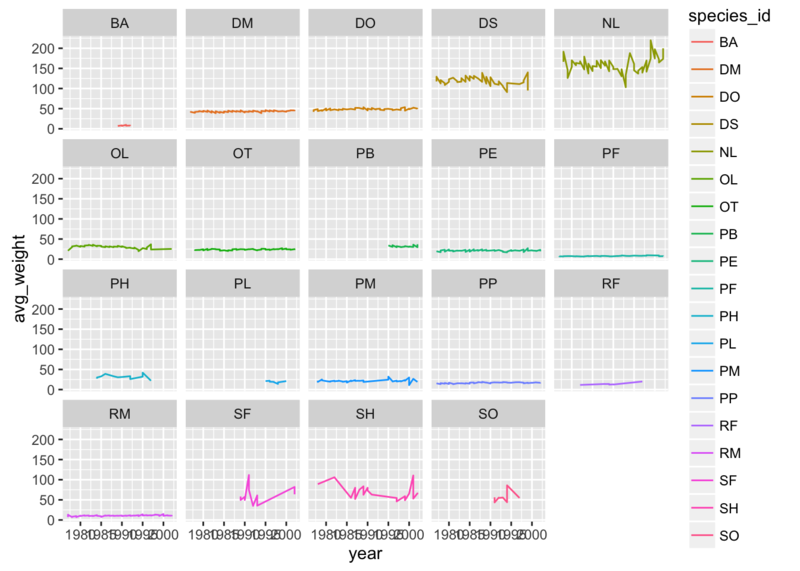 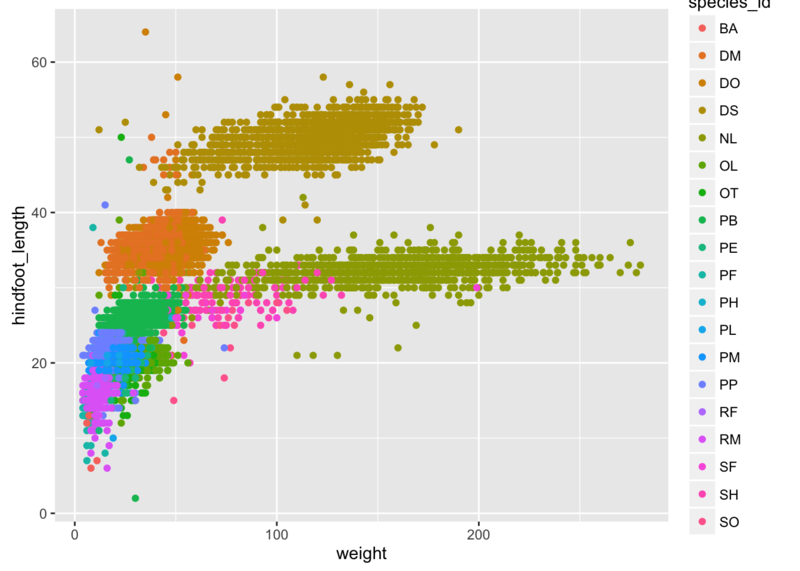 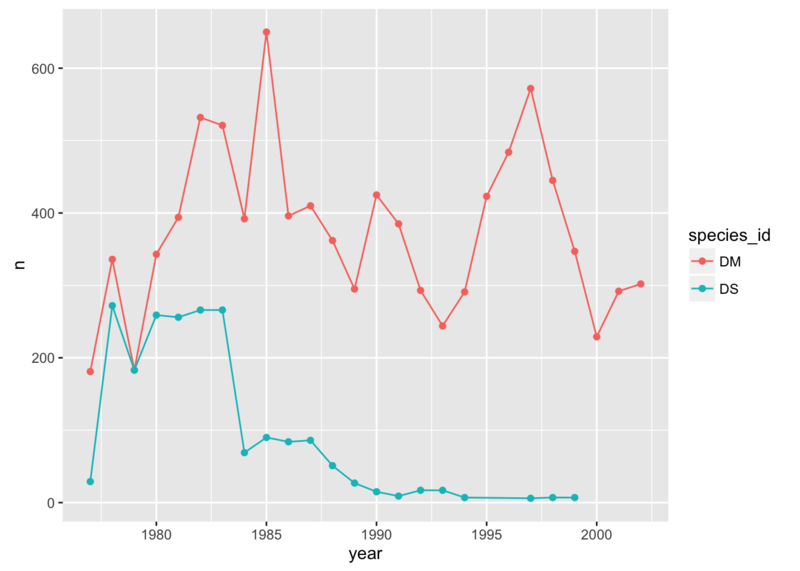 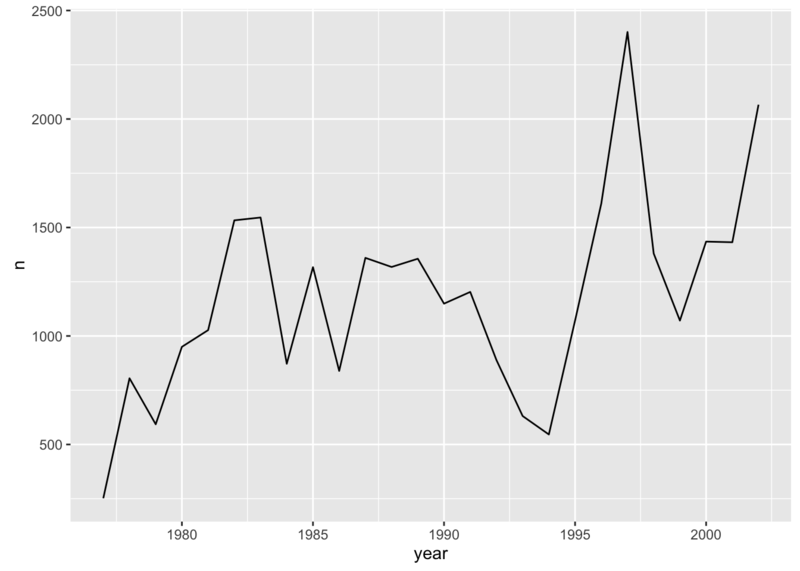 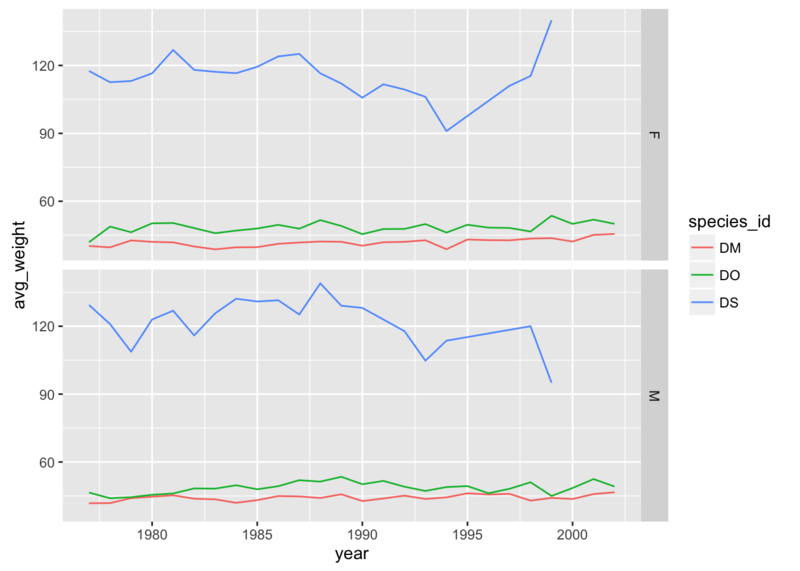 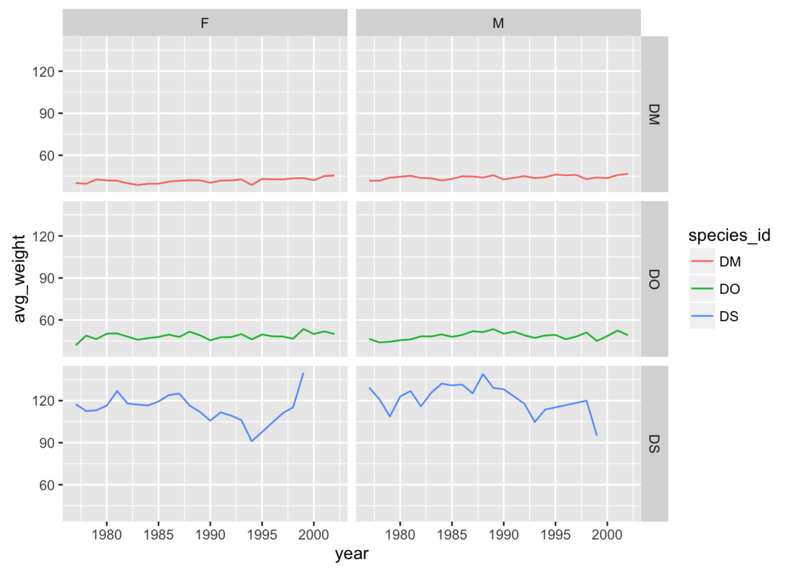 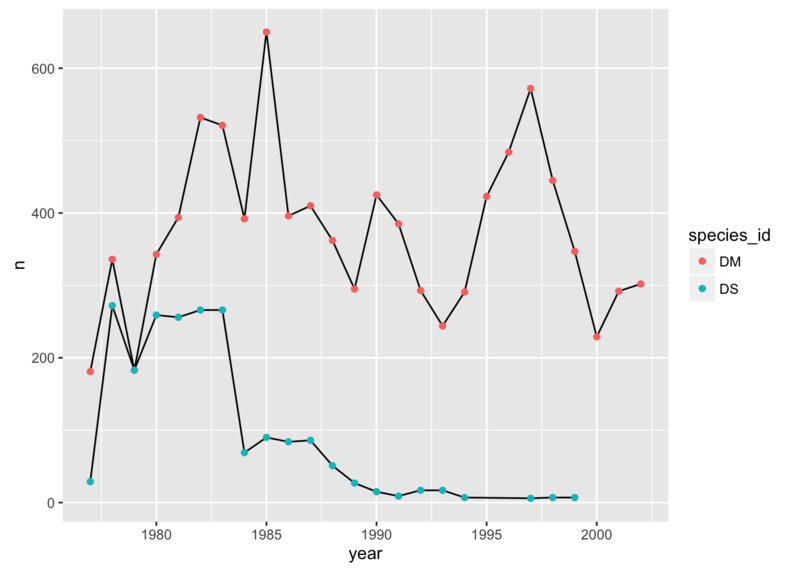 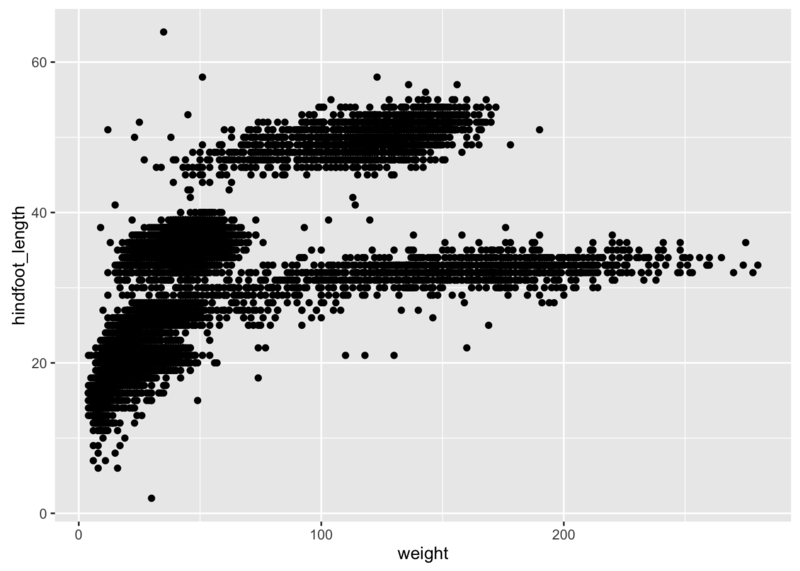 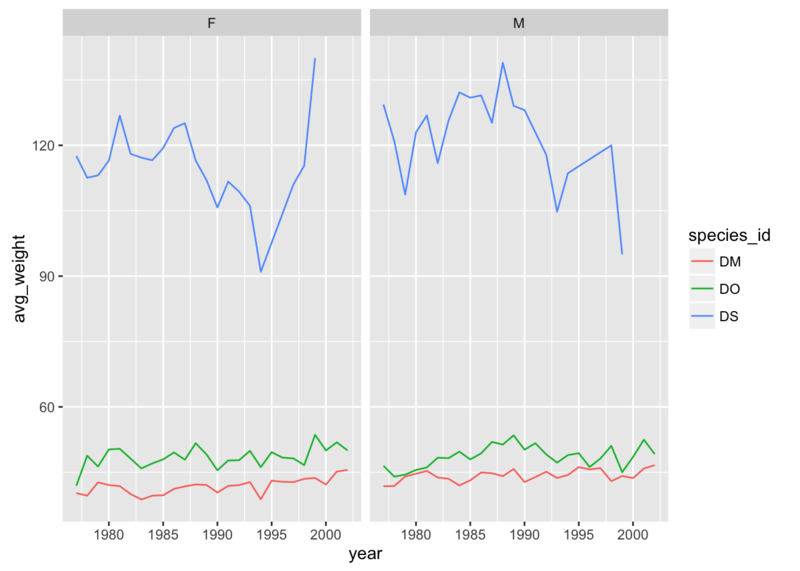 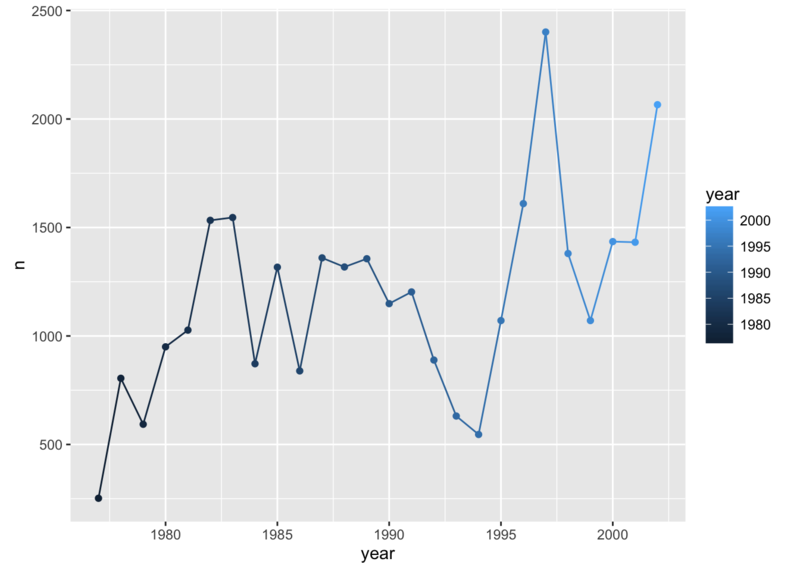 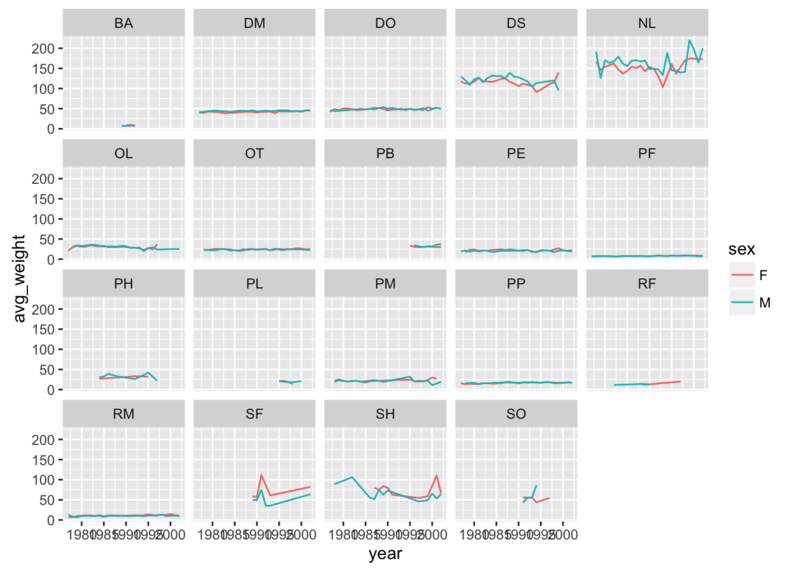 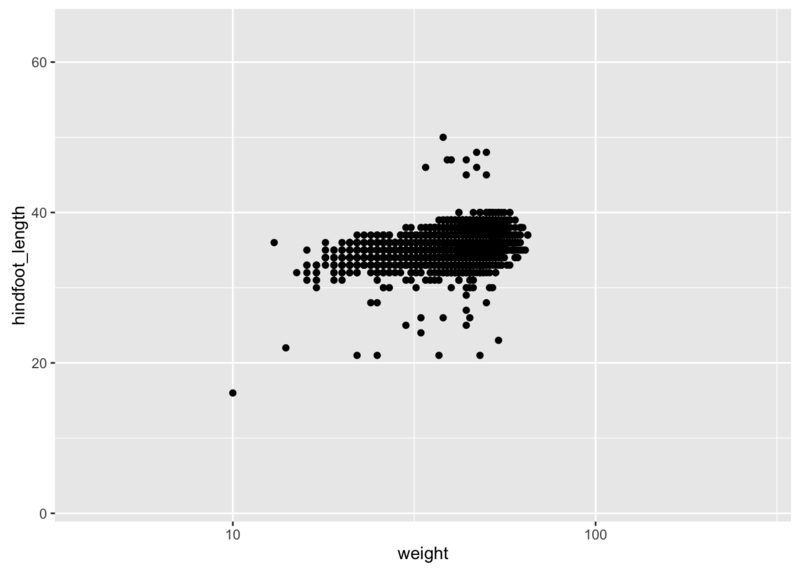 Make a plot of counts of species_id "DM" and "DS" by year. 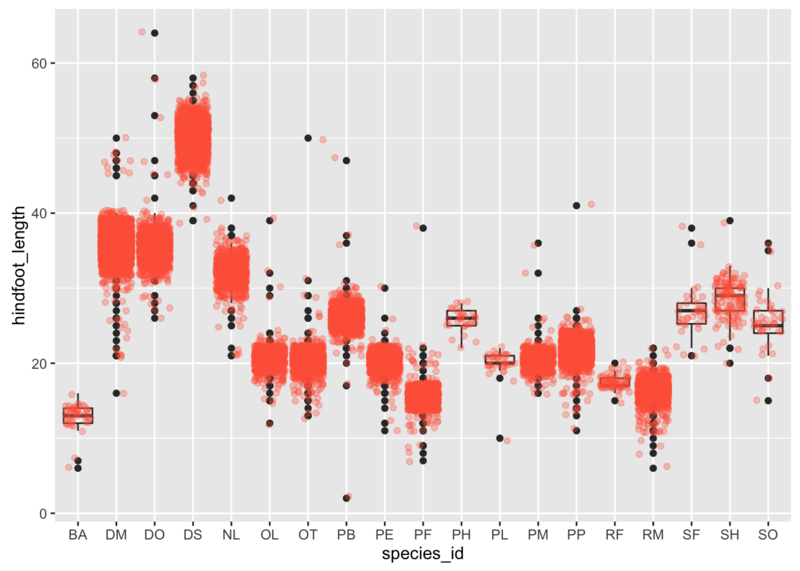 See if you can make the lines black but the points colored by species.